Does your child dream of having its own pony? 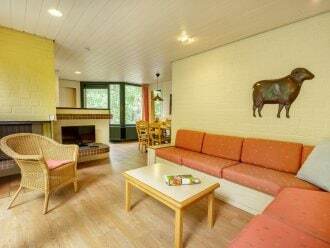 Fulfill this dream during a Pony Holiday at Center Parcs. Brushing, feeding, riding: learn how to take care of a pony like a true equestrian. Meet a pony under the supervision of an enthusiastic caretaker, and learn about the program and the fantastic activities Center Parcs offers. One practice ride, and your kids can ride on their own. In front of your cottage so you can see everything from your private terrace! Pony rides on your own pony through the park, supervised by an adult. *The activities differ from park to park. Het Meerdal is located in the Southern part of The Netherlands, nearby the national park De Groote Peel. Enjoy this beautiful natural area either by bike or by foot. Looking for a thrill? Slide down the longest Center Parcs slide in subtropical swimming paradise Aqua Mundo. The little ones be sure to have some fun in Indoor Play World BALUBA, located in the covered Market Dome. Looking for an enchanting day out? Center Parcs will get you a fantastic deal on tickets to Toverland theme park, located 15 minutes away. What's included in your Pony Holiday? For children aged between 4-12 only. 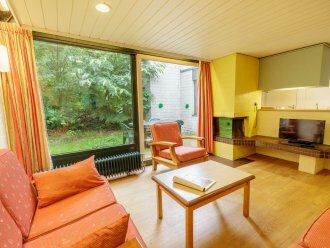 Erperheide is located in the Northern part of Belgium, in the middle of a dense forest. Have fun in the enormous BALUBA Indoor Play World with new Mini-cars, and pamper the animals at the Animal Farm. Or get a glimpse underwater - the Asian Fishing Village in subtropical swimming paradise Aqua Mundo is amazing! A holiday in Erperheide is guaranteed to be full of adventures. What is included in your Pony Holiday? For children aged 4-12 years only.